Don’t miss out on the latest news from the Climate Justice Alliance! Interested in updates on frontline communities working tirelessly to forge solutions to the climate crises, information on environmental policy or what environmental justice leaders are saying? Sign up for our newsletter! Are you looking for grassroots leaders and experienced movement builders to interview, host on a panel, speak at a conference or feature in some way? We have compiled a list of some of our best and brightest, who have put in the work to make Just Transition real on the ground around their areas of expertise. To obtain speakers contact information, email media@climatejusticealliance.org with [SPEAKER REQUEST] in the subject line. Gail Taylor is the owner/ operator of Three Part Harmony Farm in Washington, DC. A long-time resident of the District of Columbia, Taylor has worked as an organizer and social justice activist focusing on Latin America solidarity (internationally) and affordable housing issues (locally.) She has been farming organically since 2005. Three Part Harmony Farm is a project that was born out of a community-led visioning process that began in 2011. The desire to establish a production focused vegetable farm in DC to grow food for family, friends and the surrounding community combined with Taylor’s background in activism and policy advocacy led to a three-year campaign, “I Want DC to Grow.” This resulted in the passage of the DC Food Security Act of 2014, also known as DCs Farm Bill which sets the stage for 3PH and others to grow commercially in the district. Three Part Harmony Farm exists to grow food for people, but it also exists in part to challenge our assumptions on how urban farms should look. It intentionally seeks to create a viable and just local food economy while at the same time dismantling racism and the ever present, entrenched forms of oppression in that same food system. How sustainable is sustainable agriculture when it comes to the litmus test of economic and community needs, not just in terms of the environment? Taylor speaks regularly on food and farming issues and has been featured in The Washington Post in 2014 and 2015 for her role as a leader in the urban agriculture movement. In 2015, she was featured as one of Fifty+ under 50: Innovative leaders transforming metro DC’s food system. She is a member of the Seed Keeper’s Collective, Ecohermanas, and co-founder of Community Farming Alliance. Darryl Molina Sarmiento – Executive Director, Communities for a Better Environment Darryl Molina Sarmiento is the Executive Director for Communities for a Better Environment, a 40-year-old environmental justice organization that builds local power through community organizing, research, and legal support in Wilmington, South East Los Angeles, East Oakland, and Richmond, California. Darryl embodies CBE’s leadership ladder, having first encountered CBE at the age of 18, when she took a CBE Toxic Tour. In 2005, she formally joined CBE as the Youth Program Coordinator where she organized youth to defeat the Vernon Power Plant. In 2011, Darryl transitioned into the role of CBE’s Southern California Program Director and was at the helm of successful community-based campaigns against the fossil fuel industry and toxic polluters. Darryl was instrumental in leading the passage of Clean Up Green Up, a City of Los Angeles ordinance that is one of the first Environmental Justice Green Zone Policies in the nation. She has worked on the passage of statewide energy and climate policy and has worked to advance local clean energy and transportation goals. Darryl graduated from UCLA and has done labor organizing with AFSCME Local 3299 and community organizing with the Pilipino Workers Center of Los Angeles. She previously served on the boards of Southern Californians for Youth, The California Fund for Youth Organizing and the Southwest Network for Environmental and Economic Justice. José Bravo – Executive Director, Just Transition Alliance José is a long-time leader on just transition, climate justice and chemicals issues as they relate to environmental justice (EJ) communities and Labor (Organized and Unorganized). Born in México and brought to the U.S. as a child, José’s work in social justice issues is rooted in his upbringing in the Southern California avocado fields alongside both his parents. Since the 1990s, José has gained recognition as a national and international leader in the EJ movement. José has worked on numerous campaigns in the U.S. and in México in his 30 years of organizing. 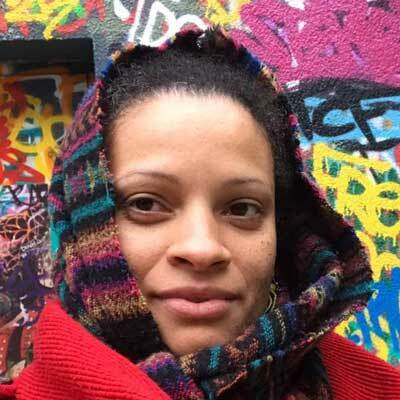 Ahmina Maxey is the US & Canada Campaigns & Membership Coordinator with GAIA: Global Alliance for Incinerator Alternatives. 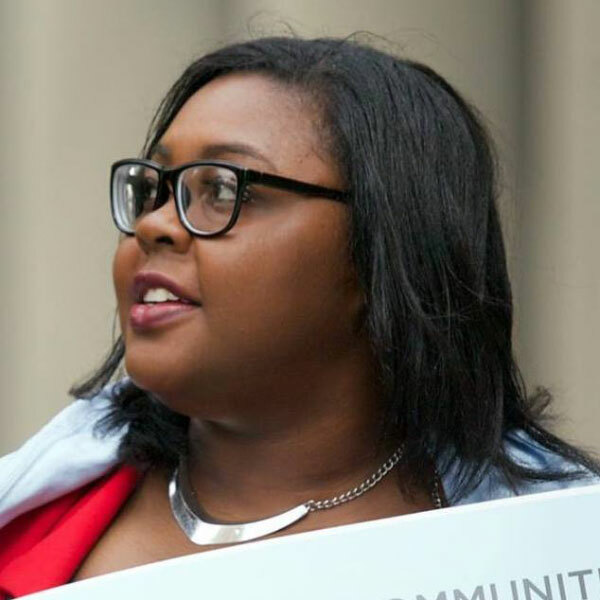 She has worked tirelessly for environmental justice in her hometown of Detroit, Michigan, fighting to protect the health and environment of her community. Through her work with the Zero Waste Detroit coalition she helped achieve citywide curbside recycling, and watch-dogged the local incinerator (the largest in the country). 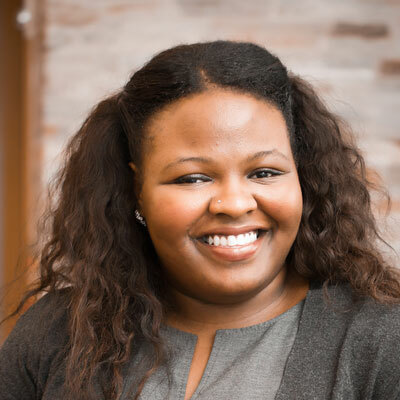 Ahmina has worked at the city and state-level to improve Detroit’s air quality, leading to the passage of numerous laws protecting the environment and health of Detroiters. She is a graduate of the University of Michigan, earning her Bachelor of Science in Environment, in 2007. 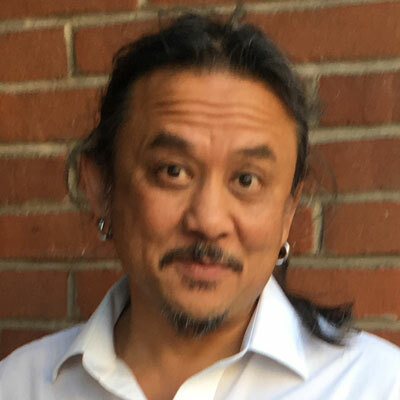 Ananda Lee Tan recently returned to our CJA family to support dozens of Our Power Communities in organizing a Just Transition to local, living economies that serve people and planet. Along with Indigenous Environmental Network, Movement Generation, Global Alliance for Incinerator Alternatives, Environmental Justice Climate Change Initiative and others, Ananda co-convened the Climate Justice Alliance back in 2009, supporting CJA though its formative years of growth. As an organizer, trainer, direct action strategist, and pathfinder, Ananda has organized social movements around the world since mid 1980s - building activist coalitions, networks and alliances for Indigenous land defense, worker rights, environmental justice, energy democracy, ecoforestry, food sovereignty, climate justice and peace. In recent years, Ananda has been guiding the world of philanthropy towards a deeper understanding of movement ecosystems. In 2013, he co-convened the Building Equity & Alignment for Impact Initiative – a collaborative of national NGOs, grassroots groups and funders to build a stronger environmental movement. He also helped envision and plan the People’s Climate March, which emerged from this collaboration in 2014. Originally from the community of Santiniketan, Ananda presently lives on the territories of the Coast Salish First Nations in the Pacific Northwest. Angela is the new Executive Director of the Our Power Campaign and Climate Justice Alliance. She has committed her life to advancing the role of the grassroots sector and provides agile leadership and structure to address and adapt to the changing and complex priorities of local communities while influencing national and international agendas. She has served as a leading member of local to international organizations that include; La Via Campesina North America, US Food Sovereignty Alliance (USFSA), the Building Equity and Alignment for Impact Initiative (BEAI), US Friends of Movement of Dam Affected Peoples (MAB) and others. She has introduced and advocated for internal frameworks that enable feedback loops for both national/International decision-making and local representation as well as, gender, and racial equity that embraces a diversity of contributions, while fostering trust and reciprocity for collective work. For the past 3 years, she has served as the Weaver Co-Chair of the steering committee body of the BEAI, where she coordinated the work of extraordinary leaders from the grassroots,and develop authentic relationships with Green groups as well as, Philanthropy successfully working on a strategy to eliminate barriers and shift 10 million to the grassroots. Through her work on the Collective Leadership with La Via Campesina North America (LVC-NA) region as a representative of the Rural Coalition, she has collectively developed strategies that advocate for a stronger civil society voice on food sovereignty and in negotiations that represented the Global south in the North. Working with LVC-NA members such as the Farmworkers Association of Florida (FWAF), she helped to launched a campaign on People’s Agroecology in the US, as a Just Transition method of farming for farmworkers locked into the toxic industrial agricultural labor market. This work initiated in 2013, has sparked t the development of regional agroecology encounters and formation processes around the Nation that include grassroots farmworker organizations as well as international partners, overlapping work with critical national coalitions and organizations in the food, agriculture and climate movement. She is growing the movement with her two young kids and partner, has a deep respect for Mother Earth and is an avid seedkeeper. 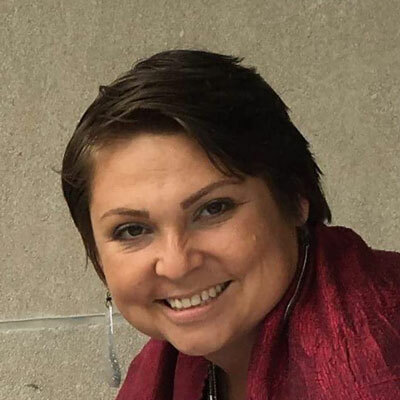 She holds a Masters Degree of Organizational Management, a BA in International Relations from San Francisco State University, as well as, strong communications and social media expertise, she has consulted for 13 years with non-profit and government agencies providing strategy planning, financial forecasting and communications. While serving as the Programs and Communications Director of the Rural Coalitions for 3 years, she managed relations with a diverse board, staff and membership in remote locations bringing the power of the grassroots to Capitol Hill. She has produced and authored a number of publications and spoken on panels in reference to the power the grassroots and international solidarity and has a passion for cultivating authentic and transparent connections that elevate the grassroots. 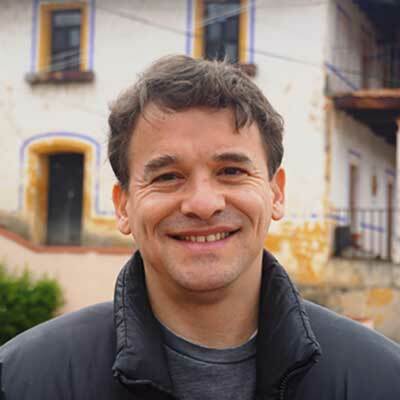 Jose Antonio Tovar-Aguilar, Ph.D., is a medical anthropologist with a unique perspective on the impacts of environmental health and disease among farmworker communities. As a pesticide and poison investigator for the Florida Department of Health, he reviews occupational cases of acute pesticide exposure and performs outreach and education for affected communities. Tovar has extensive experience in community-based programs and social marketing methods to prevent disease and injury, primarily among Hispanic and Creole farmworker communities in Florida. brandon king is an anti-authoritarian black radical engaged in the process of building economic democracy, defending human rights, moving towards social and cultural transformation. As a founding member of Cooperation Jackson, brandon serves on its Coordinating Committee. he is also the Organizing Coordinator, a Co-Coordinator of emerging Freedom Farms Cooperative, and is a part of Cooperation Jackson’s Communications team. brandon also is a representative to the Climate Justice Alliance, and the National Black Food Justice Alliance. As a DJ and visual artist, brandon also sees the arts and culture as key components necessary to energize and motivate people to be engaged in defining and determining our own destiny. Dallas Goldtooth, (Mdewakanton Dakota and Dine) is a the Keep it in the Ground Organizer for the Indigenous Environmental Network. He is a Dakota cultural/language teacher. 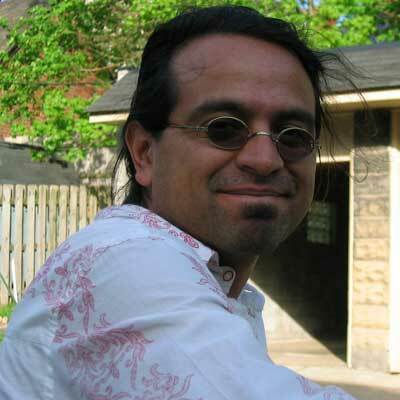 He is a co-founder of the Indigenous comedy group, The 1491s. 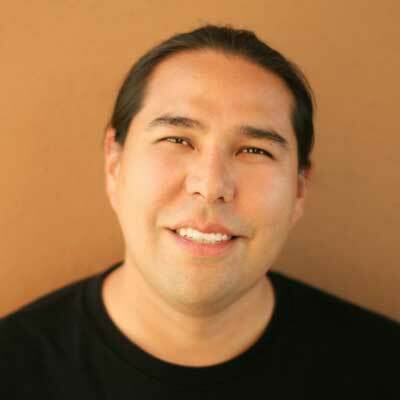 He is also a poet, traditional artist, powwow emcee, and comedian. Denise Abdul-Rahman is the NAACP Indiana Environmental Climate Justice Chair. She advocates on behalf of communities that are affected by environmental climate injustice. She works to develop research, educate and engage the community and its leaders and the influence in the shaping of public policy, that is imperative to support equitable, just and sustainable communities. Denise recently served as a delegate to Paris France, COP 21 Climate Change Agreement. A third-generation resident of Richmond, CA, Doria grew up spending weekends at her grandparents’ church ranch, in Fairfield, California, tending chickens, turkeys, rabbits and hogs on its small farm with her grandmother. 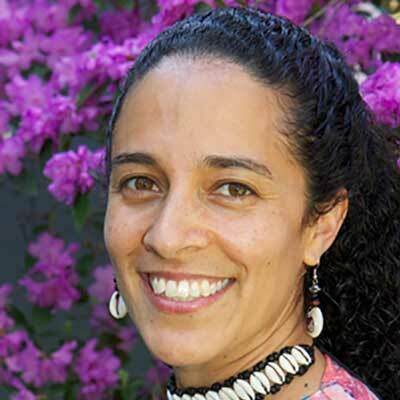 Doria previously acted as the Program Manager at Urban Creeks Council in Berkeley, Coordinator and Manager for Community Stewardship Programs at the Watershed Project, and Instructional Assistant in the West Contra Costa Unified School District. She also worked at Real Food Company in San Francisco, an early proponent of organic and sustainable agriculture, and with Veritable Vegetable, a women-owned organic produce distribution company, also in San Francisco. 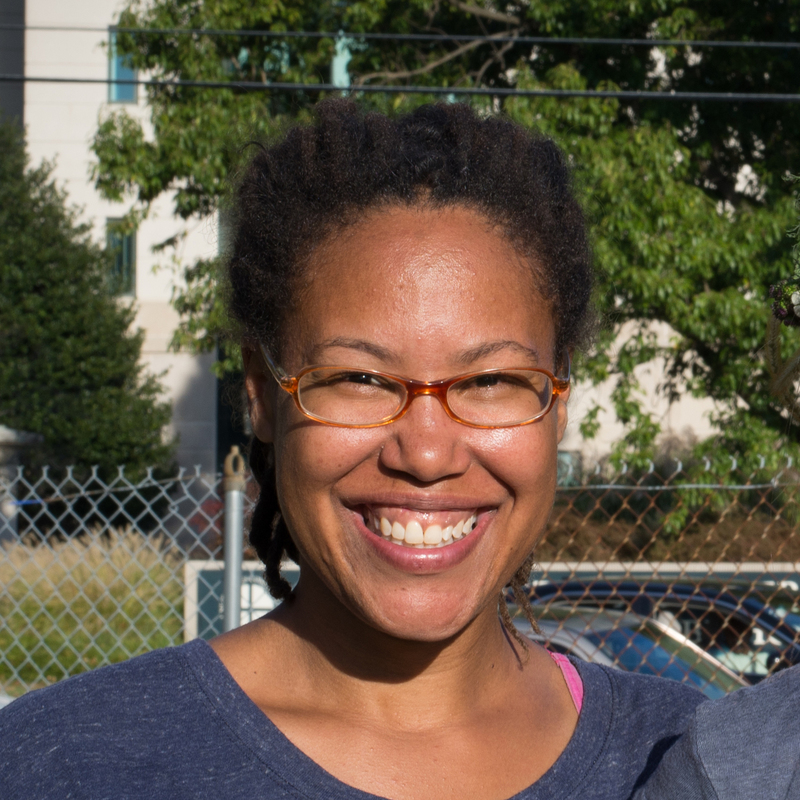 Today, Doria is the Executive Director of Urban Tilth, a community based organization rooted in Richmond dedicated to cultivating a more sustainable, healthy, and just food system. Urban Tilth hires and trains residents to work with schools, community-based organizations, government agencies, businesses, and individuals to develop the capacity to produce 5% of Richmond’s own food supply. Doria holds a BA in Media and Film Production from Hampshire College as well as a BA in Environmental Studies from San Francisco State University. She is a Certified Permaculture Designer, Certified Bay Friendly Gardener and a Certified Nutrition Educator. Doria currently lives in the neighborhood she grew up in in Richmond with her wonderful 11 year old twins. Shaun (Sha) Grogan-Brown, Deputy Director for Grassroots Global Justice Alliance (GGJ), considers himself a "plumber for the movement," ensuring the collaborative fundraising models and logistical & administrative infrastructure necessary for grassroots organizing to happen. He has worked to strengthen movements for social justice since the late 90s, and is dedicated to increasing the effectiveness and self-sustaining capacity of grassroots organizations. He worked with Committee In Solidarity with the People of El Salvador (CISPES) from 2001-2008, was the Grassroots Fundraising Coordinator for the US Social Forum 2010, and then joined GGJ staff in 2010. In the past Sha has served on the boards of Resource Generation and Grassroots Institute for Fundraising Training (GIFT). He currently serves on the boards of Grassroots International and CISPES, and is the Art Editor for the latest edition of Trans Bodies Trans Selves: A Resource Guide for the Transgender Community. 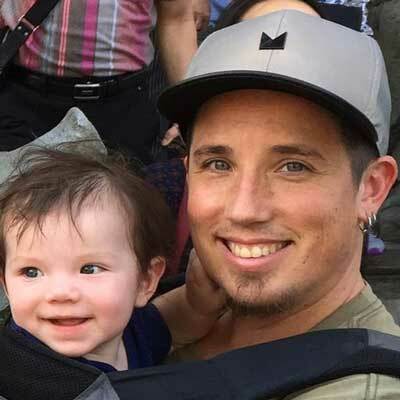 Sha is an anti-racist white queer transman & dad of a toddler from the Washington DC area, where he is currently based. Yuki Kidokoro is CJA’s National Organizer for Reinvest in Our Power, supporting strategies to move money from the extractive economy and towards building local regenerative economies. After graduate studies in Urban Planning at UCLA, Yuki spent 15 years at Communities for a Better Environment as a Youth Organizer, Lead Organizer, and Southern California Program Director. At CBE, Yuki was active in successful grassroots campaigns to: stop two fossil fuel power plant projects in Southeast LA, prevent the expansion of the I-710 diesel truck corridor, and pass health protective policies at the city, regional and state levels. She also helped carry out CBE’s movement building work with the California EJ Alliance and with the Grassroots Global Justice Alliance at the state and national levels. Raised in Southern California, Yuki helped to create a 40+ unit affordable housing cooperative at the Los Angeles Eco-Village in Central Los Angeles where she is an active member. She is trained in conflict mediation and group facilitation, and enjoys biking, gardening, and board games. 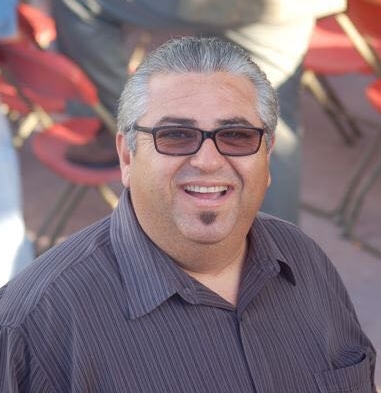 Executive Director Eddie Bautista is an award-winning community organizer and urban planner. In February 2010, Eddie resigned as Director of the Mayor’s Office of City Legislative Affairs to take the reins at NYC-EJA. The Mayor’s Office of City Legislative Affairs is the Mayor’s local lobbying office representing the Mayor and City agencies at the City Council, and serving as liaison between the Bloomberg Administration and the Comptroller, Public Advocate and Borough Presidents. As Director, Eddie spearheaded efforts to pass several major pieces of legislation, including: the City’s 20-year landmark Solid Waste Management Plan (which relied for the first time on principles of environmental justice and borough equity); the creation of the first municipal brownfields remediation office in the nation; the required retrofit of all diesel-powered school buses to reduce air pollution in bus cabins; and the Greater Greener Buildings Plan, the nation’s first comprehensive package of legislation aimed at improving energy efficiency for large scale buildings. Eddie also facilitated meetings for policy advocates with Administration officials on a range of legislative and regulatory initiatives such as PlaNYC 2030 (NYC’s environmental sustainability plan, which has become an international model for large cities) and Mayoral Executive Order 120 of 2008, which for the first time called for all City agencies to make services and documents available to immigrant New Yorkers in the top six languages spoken in the City. Previously, Eddie was the Director of Community Planning for NY Lawyers for the Public Interest (NYLPI), where he served as the lobbying/communications/community organizing director for this non-profit civil rights law firm. At NYLPI, Eddie organized numerous grassroots coalitions and campaigns, including the Organization of Waterfront Neighborhoods (OWN) and Communities United for Responsible Energy (CURE), two citywide coalitions of community-based organizations which blocked the siting of mega-waste transfer stations, large power plants, incinerators and sludge plants in environmentally-burdened, low income communities of color, while changing City and State solid waste and energy policies. Eddie has written articles and been interviewed for local and national news broadcasts. Eddie has a B.A. from N.Y.U., an M.S. in City and Regional Planning from Pratt Institute and was a Revson Fellow at Columbia University. In 2003, Eddie was among 17 national winners of the Ford Foundation’s Leadership for a Changing World awards. Nine books feature or mention Eddie’s work, including Noxious New York: The Racial Politics of Urban Health and Environmental Justice, by Julie Sze (2006); We Won’t Move: Community Planning in The Real Estate Capital of the World, by Tom Angotti (2008); and The Battle for Gotham: New York in the Shadow of Robert Moses and Jane Jacobs by Roberta Brandes Gratz (2010). Eddie is also a Visiting Assistant Professor at the Pratt Institute School of Architecture’s Graduate Programs for Sustainable Planning and Development, where he teaches courses that apply basic principles and practices of city planning and urban design to specific topical projects. Elizabeth C. Yeampierre is a nationally recognized Puerto Rican attorney and environmental justice leader of African and Indigenous ancestry born and raised in New York City. 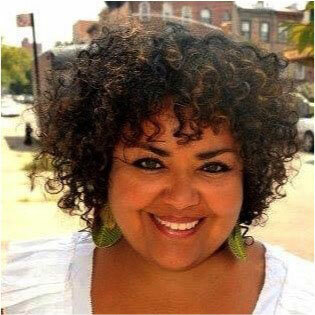 She is Executive Director of UPROSE, Brooklyn’s oldest Latino community-based organization. Her award winning vision for an inter-generational, multi-cultural and community-led organization is the driving force behind UPROSE. 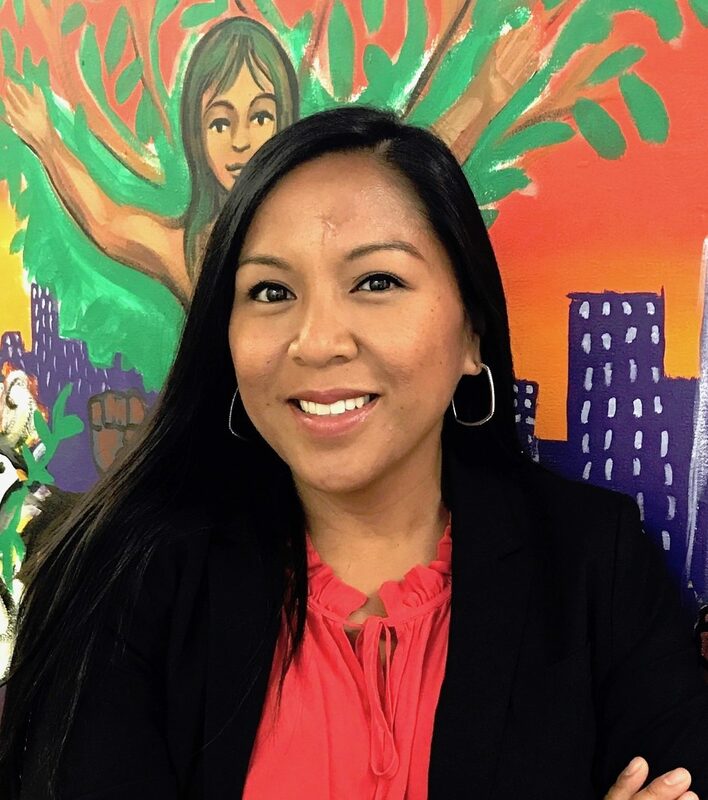 She is a long-time advocate and trailblazer for community organizing around just, sustainable development, environmental justice and community-led climate adaptation and community resiliency in Sunset Park. Prior to assuming the Executive Director position at UPROSE, Ms. Yeampierre was the Director of Legal Education and Training at the Puerto Rican Legal Defense Fund, Director of Legal Services for the American Indian Law Alliance and Dean of Puerto Rican Student Affairs at Yale University. She holds a BA from Fordham University and a law degree from Northeastern University. Elizabeth is the first Latina Chair of the US EPA National Environmental Justice Advisory Council. 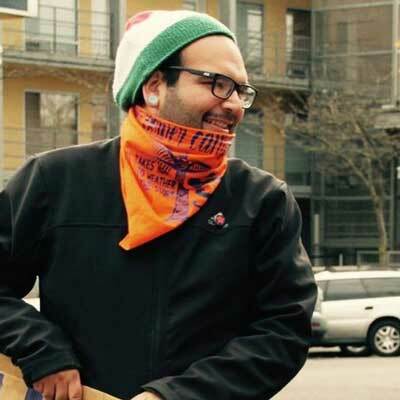 Saulo Araujo is the Global Movements Program Director for Why Hunger. Saulo works to advance initiatives of food sovereignty and agroecology by identifying resources and network opportunities that will strengthen the work of grassroots organizations and social movements. Originally from Brazil, Saulo brings years of experience working with urban and rural families in the United States and abroad. Prior to WhyHunger, he worked as the Latin America Program Coordinator for Grassroots International, and served as consultant to international funders, including the United Nations Food and Agriculture Organization. He has a bachelors of science degree in Agricultural Engineering from the Federal Rural University of Pernambuco state, Brazil and a M.A. in International Development and Social Change from Clark University. 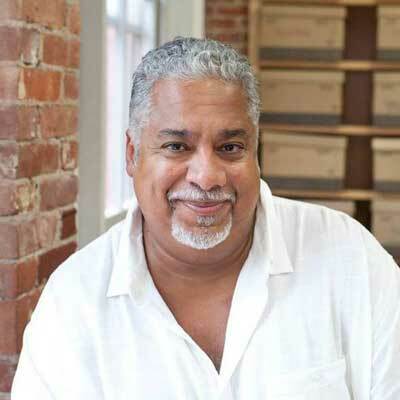 Saulo is a senior fellow of the Environmental Leadership Program, and has served as board member and advisor for many organizations, including The Food Project, New England Grassroots Environmental Fund and Justice at Work. Sara Mersha has been Director of Grantmaking and Advocacy at Grassroots International since 2010. She works to build and maintain long-term relationships with partner organizations and social movements led by peasants, indigenous peoples, women, and youth in the Global South. Sara also coordinates Grassroots’ advocacy work, collaborating with other US allies as part of the US Food Sovereignty Alliance and the Climate Justice Alliance. In 2014, Sara joined the Planning Committee of the Movement Generation Justice and Ecology Project. 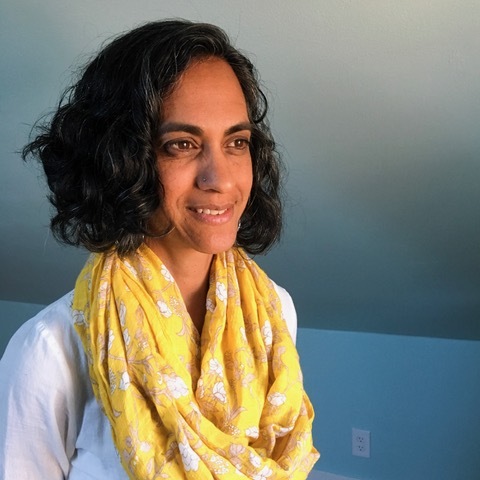 Born in Addis Ababa, Ethiopia, Sara has spent the majority of her life in the United States and brings years of experience connecting local community organizing (such as with Direct Action for Rights & Equality in Providence, RI) with broader movement building efforts. Sara served as Visiting Faculty in the Ethnic Studies Department of Brown University, and entered a graduate program at Brown’s Center for Environmental Studies in 2009. Since then, she has focused her academic and movement-building work on climate justice and food sovereignty. 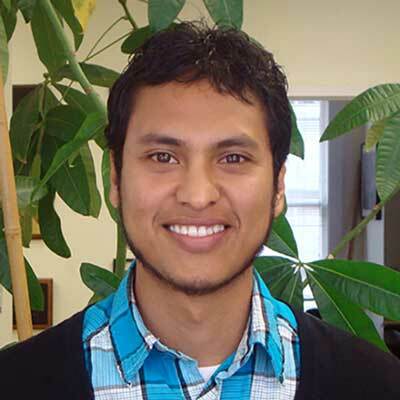 Jose brings key experience to CBE, having been an organizer with Berkeley Organizing Congregations for Action and an Environmental Fellow at Central Coast Alliance United for a Sustainable Economy where he worked on a campaign that stopped gas tankers from being built off the Oxnard coast. 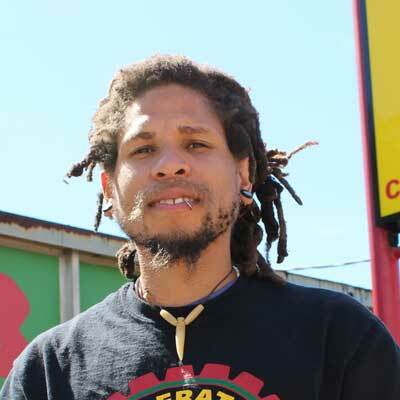 Prior to his current position, Jose was an East Oakland Organizer for CBE. Jose has an Environmental Science degree from UC Berkeley. APEN organizes API community members to advance an environmental, social, and economic justice agenda. Prior to working at APEN, Vivian spent seven years advocating for statewide policy, legislation, and budget funding for immigrants, communities of color, migrant farmworkers, and women. She was Director of Legislative Advocacy at Asian Americans for Civil Rights & Equality (the Sacramento office of Chinese for Affirmative Action, Asian Pacific American Legal Center, and Asian Law Caucus), as well as Deputy Director of Policy at the California Primary Care Association (the statewide organization representing community health clinics). Vivian also worked on federal policy as a Presidential Management Fellow. Monica Atkins is currently the Southeast Regional Just Transition Organizer for the Climate Justice Alliance. Atkins has organized social, cultural events and actions including Art, Poetry, and Justice Slam, Freedom Summer March, and March on Mississippi Workers March with artists and activists, such as Common and Danny Glover. Monica has worked for several labor organizations including United Auto Workers, American Federation of Teachers, and Communication Workers of America. Monica is a Chicago native and graduate of Jackson State University where she completed a Bachelor's degree in English with an emphasis in Journalism. A poet, activist, and member of Cooperation Jackson in Jackson, MS, Monica’s passion for the arts has led her to organizing workers and communities through cultural organizing and base-building for the past 10+ years. As a passionate eco-justice activist, Ms. Dortheá Enriqúe works as the Midwest Just Transition Organizer for the Climate Justice Alliance and Eastern Michigan Environmental Action Council. She is the Founder of the Detroit Environmental & Water Alliance, a community group dedicated to the pursuit of social justice – when it comes to clean air, clean water and a just transition for a green energy economy for all. In the past, she has worked with Sierra Club as a Detroit & Great Lakes Organizer to help curb water pollution and increase access to clean water for all. Also, as an Environmental and Climate Justice Leadership Fellow with the National Association for the Advancement of Colored People, she helped to help create the first Climate Justice Initiative. 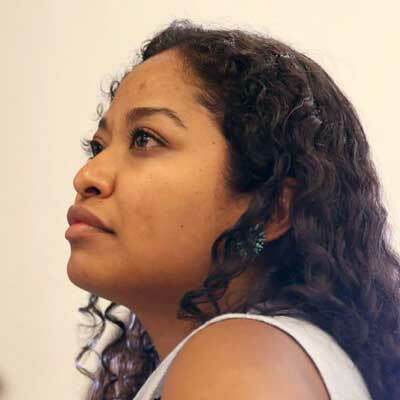 As an Climate Justice Leadership Fellow at the New Organizing Institute for WE ACT for Environmental Justice, she worked to implement an environmental justice perspective in the Obama Climate Action Plan. 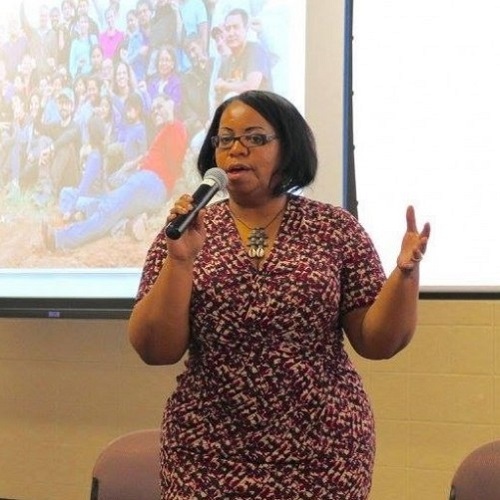 Previously, as the AmeriCorps Green Schools Coordinator with Detroit Public Schools and Ecoworks, she developed communication strategies; oversaw energy efficiency projects on energy, resource management, and nutrition; and managed utility bills to help improve student achievement, lower district cost, and improve the health of the district. She is a world renowned published author, certified life and leadership coach, and motivational speaker. 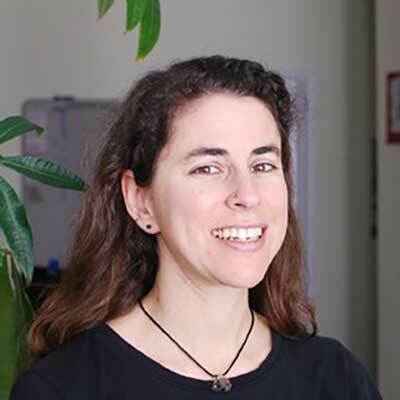 Shana Lazerow is a staff attorney at Communities for a Better Environment. She is committed to providing the legal assistance needed to bring about CBE’s vision of empowered communities and an environmentally just society. Shana brings the legal perspective to CBE’s campaign teams, and develops and pursues lawsuits using federal and state environmental statutes,. She also engages in regional and statewide policy issues including transition to clean energy. Shana graduated from the University of Pennsylvania in 1993, and from University of California, Los Angeles School of Law in 1997. Prior to joining CBE’s staff, she was the program director for San Francisco Baykeeper and a staff attorney at Waterkeepers Northern California, where she ran a small legal clinic to train public interest lawyers. In her 18 years of legal practice, Shana has also made brief forays into academia, and cherishes the prospect of helping the next generation of activists and lawyers develop strategies to bring about social change. Sacajawea “saki” Hall is a black radical feminist engaged in the collective struggle for human rights, social justice and social transformation. She is a mother, birth-worker, artist and journalist. 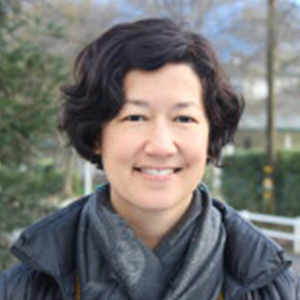 saki is one of the founding members of Cooperation Jackson and currently co-leads the Land and Housing Initiative, including the development of a Community Land Trust. 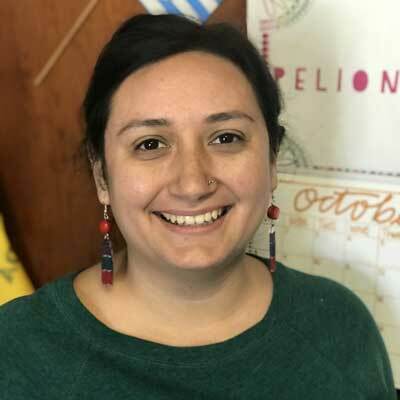 saki leads Cooperation Jackson’s Communications team and supports its Climate Justice and Just Transition work along with supporting the financial planning and development of three Worker-Owner Cooperatives. Michelle Mascarenhas-Swan is Co-Director of the Movement Generation Justice & Ecology Project (MG). Since 2007, MG has been bridging the gap between our current social movement strategies and the scale of the unfolding ecological crisis. As a collective member, Michelle leads trainings, facilitates strategy sessions, and works with other groups to foster a just transition to local living economies. Michelle brings over a decade of experience pairing resilience and resistance in fostering a just food system as the founding director of the Center for Food and Justice and a Kellogg Food and Society Policy Fellow. She organized community groups in South Los Angeles and family farmers from across California to forge model programs and policy campaigns to shift power in the food system. She was one of the early initiators of the Farm to School movement in the U.S. Under her leadership, the Center for Food and Justice organized high school students, parents, and cafeteria workers in a campaign for healthy school food in the Los Angeles Unified School District. After moving to the San Francisco Bay Area, Michelle served as co-director of the School of Unity and Liberation from 2005-2008 before joining Movement Generation. She has a M.A. in Urban Planning from UCLA and grew up in Southern California. Michelle is now setting roots in Berkeley where she gardens with the extended Movement Generation family and her two lively daughters. A KFTC organizer in eastern Kentucky for five years, Lisa became the Leadership Development Coordinator in 1997. She received a Master’s Degree in Public Policy with an emphasis in Leadership Development from the University of Maryland in 2001. Lisa returned to KFTC in 2002 as the Director of Organizing and Leadership Development. 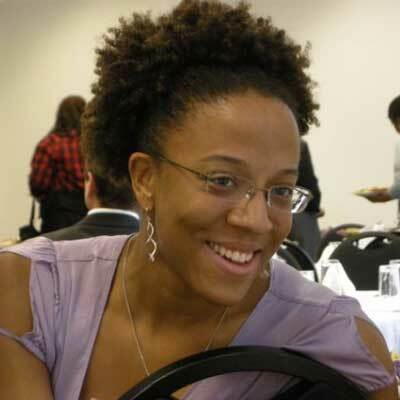 She coordinated KFTC's Empower Kentucky Initiative and currently is the Deputy Organizing Director for Just Transition. Juliana Pino is the Policy Director at the Little Village Environmental Justice Organization (LVEJO). Born in Tuluá, Colombia, and raised in both Colombia and the United States, Juliana’s personal life is transnational and her background is interdisciplinary. At LVEJO, Juliana analyzes, researches, and advocates for environmental justice in local, state, and federal policy. LVEJO campaigns cross many areas of environmental policy, including energy systems, food systems, water quality, air quality, brownfields, toxics, land use, transportation, and others. 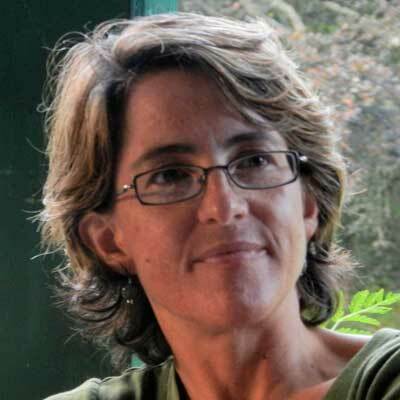 Her work focuses on: advancing energy democracy and community self-determination in regulatory and policy arenas; creating just transition with meaningful collaborative and participatory management of shared environmental resources; and centering frontline community leaders as generators of transformative policy ideas and governance models. In 2017, Juliana was recognized in Midwest Energy News 40 Under 40 for her work in the transition to a clean energy economy. She serves on the Board of Directors of the Illinois Environmental Council, a statewide organization that promotes sound environmental policy and protections for land, air, water, wildlife, and human health. Juliana is a graduate of the University of Michigan School of Natural Resources and Environment (MS, Environmental Policy and Planning; Environmental Justice), the University of Michigan Gerald R. Ford School of Public Policy (MPP, Public Policy Analysis), and the University of Chicago (AB, East Asian Languages and Civilizations). Prior to joining LVEJO, Juliana has contributed to the U.S. Department of Commerce’s National Oceanic and Atmospheric Administration, the U.S. Department of Agriculture, the Great Lakes Commission, and the U.S.-China Chamber of Commerce, among others. Juliana is passionate about anti-oppression frameworks, is invested in anti-racism movement struggles, and is a big fan of animals. 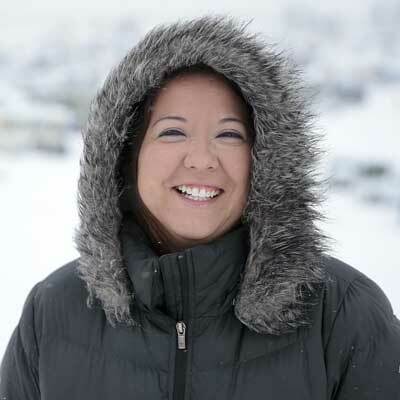 Jihan Gearon is Diné (Navajo) and African American from Old Sawmill, Navajo Nation. She is Tódích’ií’nii (Bitter Water) clan, and her maternal grandfather is Tl’ashchí’í (Red Bottom People) clan. She is a graduate of Stanford University with a Bachelors of Science in Earth Systems with a focus in Energy Science and Technology. Throughout her career Jihan as worked to build the capacity and collective strength of Indigenous communities throughout North America who are impacted by energy development and climate change, first in her position as Coordinator of the Native Energy & Climate Campaign at the Indigenous Environmental Network, and now as Executive Director of the Black Mesa Water Coalition. She is a board member of the Center for Story-based Strategy and a former Steering Committee member of the Climate Justice Alliance. 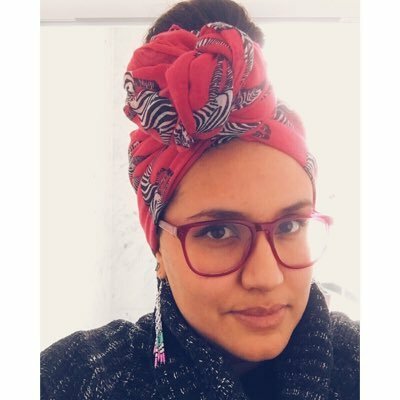 In these roles Jihan leads broad coalitions of communities and organizations in connecting the issues of energy development in Indigenous communities to larger social justice movements and common strategies. Jihan is currently based out of Flagstaff, Arizona. 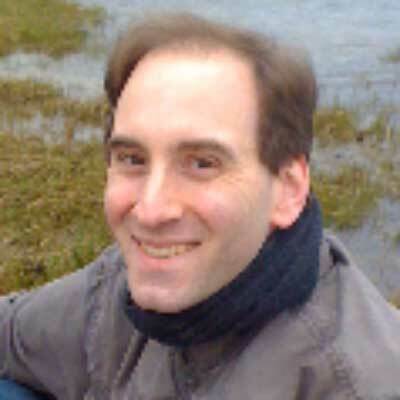 Jihan writes a blog at ww.navigatingcontradictions.com. Gopal has been involved in fighting for social, economic, environmental and racial justice through organizing & campaigning, teaching, writing, speaking and direct action since the late 1980’s. Gopal is an active trainer with and serves on the boards of The Ruckus Society and the Center for Story-based Strategy (formerly smartMeme). He also serves on the advisory boards of the International Accountability Project, and Catalyst Project. Gopal works at the intersection of ecology, economy and empire. Gopal has been a campaigner for Silicon Valley Toxics Coalition on human rights and environmental justice in the high-tech industry and the Oil Campaigner for Project Underground, a human rights and environmental rights organization which supported communities resisting oil and mining exploitation around the world. 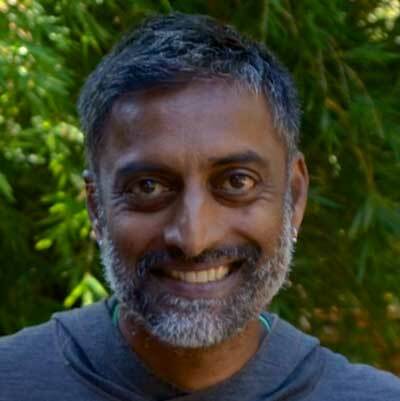 Gopal has been active in many people powered direct action movements, including the Global Justice/Anti-Globalization Movement, Direct Action to Stop the War, Mobilization for Climate Justice, Take Back the Land, and Occupy. Gopal is the father of two young direct action junkies, Ila Sophia and Kavi Samaka Orion, and lives in an intentional community with 9 adults, 8 kids and a bunch of chickens. Edgar Franks lives in Bellingham, WA. He serves as the Civic Engagement Program Coordinator at Community to Community Development, working to engage supporters and develop a strategy that ensures the needs of the Farm Worker community are represented. Community to Community works on issues of Food Sovereignty through the lens of Farm Workers, with the goal of creating a politically conscious inter-sectional base that is fighting to create a local solidarity economy. Edgar currently represents Community to Community in the Climate Justice Alliance and on the US Food Sovereignty Alliance. He is also on the National Leadership Team of Move to Amend. Cindy Wiesner, National Coordinator of Grassroots Global Justice Alliance (GGJ) and Co-Chair of the Climate Justice Alliance (CJA) and the Our Power Campaign, has been active in the grassroots social justice movement for over 20 years. She started organizing with HERE Local 2850. 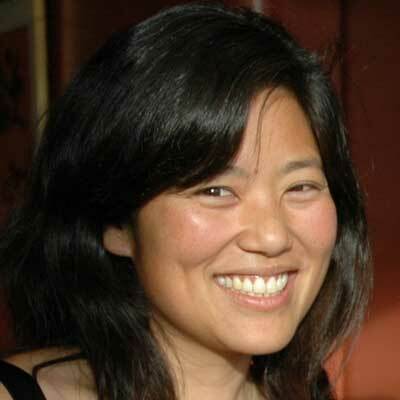 Cindy then served as Director of Organizing for People Organizing to Win Employment Rights (POWER) in San Francisco, and as an Organizer and Board member for generation FIVE. Cindy has also been a consultant for Men Overcoming Violence Everywhere and Mujeres Unidas y Activas. Before joining GGJ staff she was the Leadership Development Director of the Miami Workers Center (MWC) and represented the MWC as a member of the US Social Forum (USSF) National Planning Committee. In both USSF's, Cindy was the co-chair of the national outreach working group and served on the leadership and coordination bodies of those efforts. She currently represents GGJ on the International Council of the World Social Forum. 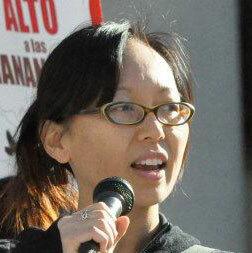 After 5 years as GGJ Political Coordinator, Cindy stepped into the role of National Coordinator in September, 2012. Cindy is originally from Los Angeles and is of Salvadoran, Colombian and German descent and is Queer. She is based in Miami, FL. Energy Justice Network (EJN) Mike Ewall is the founder and director of Energy Justice Network, a national support network for grassroots community groups fighting dirty energy and waste industry facilities such as coal power plants, ethanol plants, natural gas facilities, landfills and incinerators of every sort. He has been actively involved in student and community environmental justice organizing since high school in 1990. He's taught hundreds of workshops at college campuses and activist conferences throughout the U.S. His grassroots support work has helped many communities achieve victories against power plants, landfills, incinerators, medical waste facilities and other polluting industries. Tom is Dine’ and Dakota and lives in Minnesota. Since the late 1980’s, Tom has been involved with environmental related issues and programs working within tribal governments in developing indigenous-based environmental protection infrastructures. Tom works with indigenous peoples worldwide. 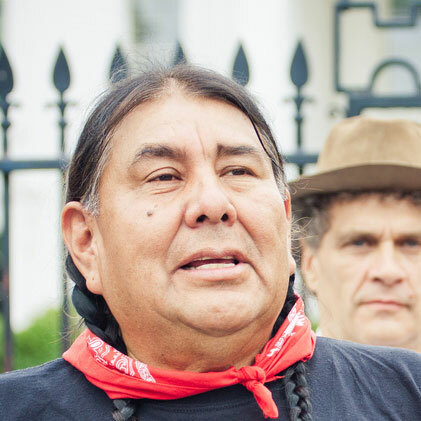 Tom is known as one of the environmental justice movement grassroots leaders in North America addressing toxics and health, mining, energy, climate, water, globalization, sustainable development and indigenous rights issues. 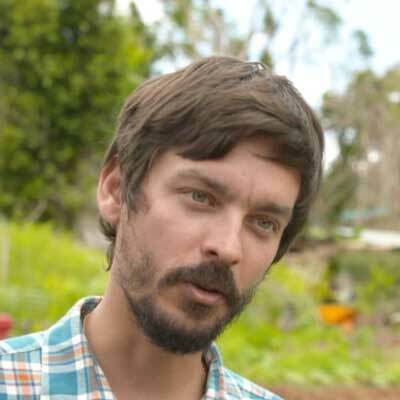 Tom is one of the founders of the Durban Group for Climate Justice; co-founder of Climate Justice NOW! ; a co-founder of the U.S. based Environmental Justice Climate Change initiative and a member of the International Indigenous Peoples Forum on Climate Change that operates as the indigenous caucus within the United Nation Framework Convention on Climate Change. Tom is a policy adviser to indigenous communities on environmental protection and more recently on climate policy focusing on mitigation, adaptation and concerns of false solutions. 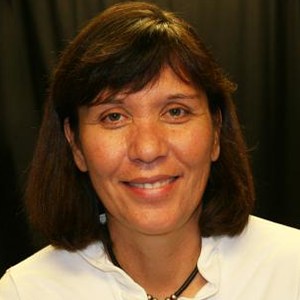 Center for Earth, Energy, and Democracy (CEED) Dr. Cecilia Martinez previously held positions as Associate Research Professor in the College of Earth, Ocean and Environment at the University of Delaware, Associate Professor at Metropolitan State University and Research Director at the American Indian Policy Center. Dr. Martinez has led a variety of projects to address sustainable development at the local and international levels. Her research is focused on the development of energy and environmental strategies that promote equitable and sustainable policies. 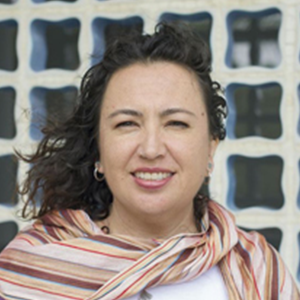 Dr. Martinez has also worked with a range of organizations from local grassroots groups to international organizations engaging in the promotion of sound environmental policy and environmental justice. She served on the Climate Action Planning Steering Committee for the City of Minneapolis, and has been appointed to several national advisory boards. 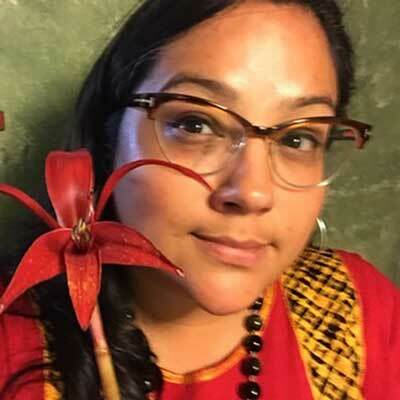 She is also on the leadership team for the national EJ and Science Initiative, and is leading the effort on a Truth and Reconciliation Commission on environmental harms. Most recently she co-authored a chapter on environmental justice and climate resiliency with Dr. Nicky Sheats. She is working on a manuscript on environmental justice and climate change and among her other publications is the co-edited volume Environmental Justice: Discourses in International Political Economy which includes some of her work on North American Indigenous peoples and the challenge of forging a common agenda of indigenous rights, justice and sustainability. She received her B.A. from Stanford University and her Ph.D. from the University of Delaware’s College of Urban Affairs and Public Policy.